I’ve been to many cons but never a TitanCon, so I wasn’t really sure what to expect. It turned out to be an intimate convention, which is the best kind of convention because you get to spend time with the guests. At large conventions like San Diego Comic Con that could never happen because then the guests would get mobbed by thousands of fans. The opening ceremony is the best opportunity for photos of all the guests and also usually a time when surprise guests are announced. At TitanCon that wasn’t the case but we were lucky as the guests invited where giving up their day off to spend it with their fans. At the first panel of the day the guest that surprised me the most was Ian McElhinney (Barristan Selmy). I never knew he had a sense of humour. I think one of the highlights during that talk was when Ian said how the food on set wasn’t always great and that you never had enough time to eat before you were needed on set again. He said the flies would get there first and then again when you came back for it. He had everyone laughing. 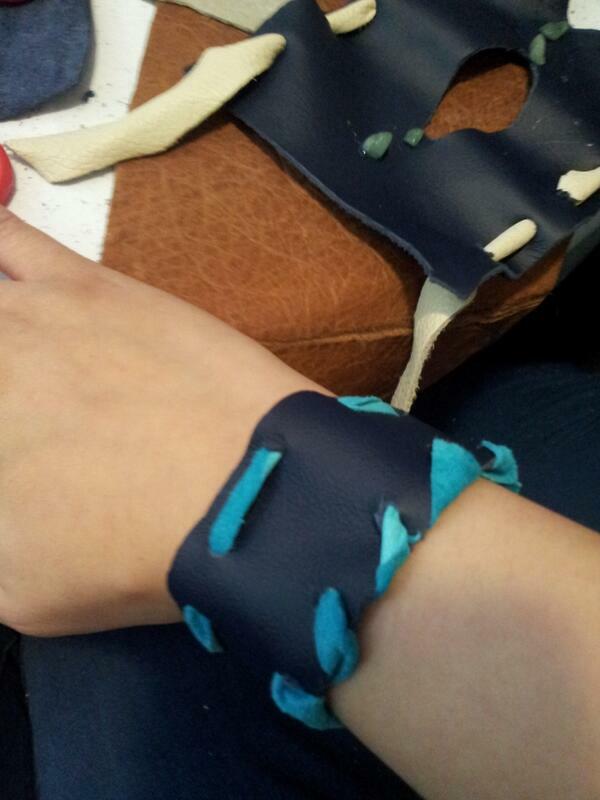 I tried my hand at making jewellery at the Dothraki Jewellery workshop with Emma Andrews from the Game of Thrones drapes department. We even got to use the same material and tools that they used to make some of the props in Game of Thrones. It turned out to be harder than I thought and very time consuming. If I wasn’t rushed for time I’m sure mine would’ve turned out to be amazing. However it was a very informative and enjoyable workshop. It was a chance to get a little insight into what goes on behind the scenes of Game of Thrones. One thing that always remains the same is that conventions never run on time, they run on what’s known as ‘Con Time’. Due to last minute cancellations and the fact that some guests wouldn’t be there all day due to filming the night before meant that the schedule was up in the air. The last minute schedule changes meant that some interviews didn’t happen but we are lucky that we managed to get two interviews, thanks to Phil. Aimee Richardson (Myrcella Baratheon) was very talkative and happily answered all our questions. She was over the moon when I presented her with the Oreo cupcakes I baked the night before. She couldn’t believe it because she thought I was joking on twitter when I mentioned about bringing them. She later stopped me at one point during the convention to say that she had just tried the cupcakes and that she loved them. The other guest we got to interview was Luke Barnes (Rast). Luke was very easy to talk to and happily answered all our questions. He even had a friendly chat with us after the interview was over and the camera was turned off. 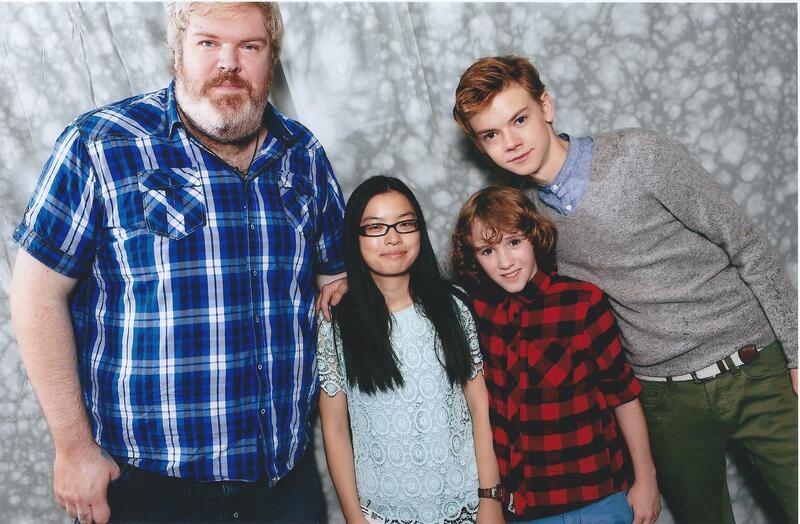 After lunch me and May decided to get our photos taken with Thomas Brodie-Sangster (Jojen Reed), Kristian Nairn (Hodor) and Art Parkinson (Rickon Stark). Kristian just towered over everyone, so I was very tiny standing next to him. 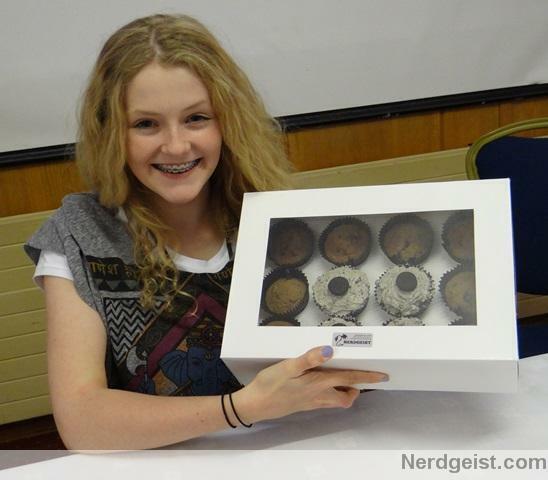 During the signing session Art Parkinson (Rickon Stark) kept asking and begging Aimee for an Oreo cupcake. Aimee however was having none of it and they had a friendly fight over it. Even Aimee said the other guests where eyeing up her cupcakes in the green room. I guess I better bring cupcakes for the other guests next time. 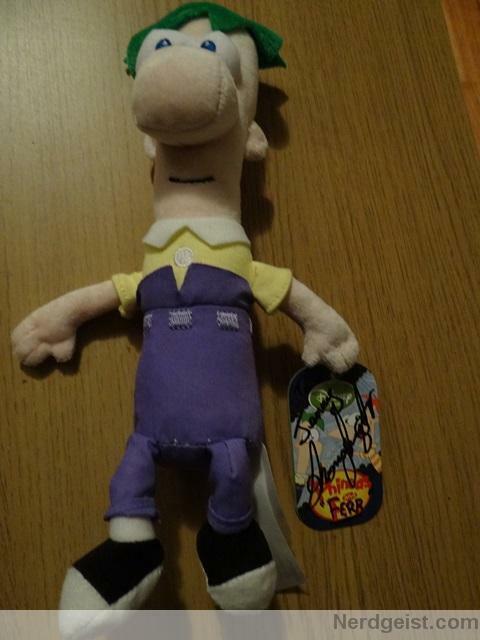 Thomas smiled as soon as he spotted the Ferb plush I was holding. I guess it was a nice change from signing Game of Thrones memorabilia all day. In case you didn’t already know, Thomas is the voice of Ferb in Phineas & Ferb. 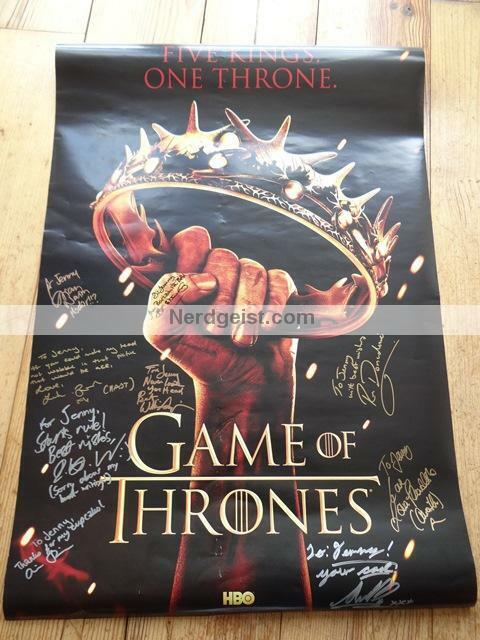 Everyone loved the artwork of the poster I got them to sign; it just goes to show that they themselves don’t see all the Game of thrones promotional photos. The night ended with a charity raffle, where you could win signed George R.R.Martin stuff, Masquerade and a concert with the Hardbitten Fleabottom SwingTime Band. I’m looking forward to TitanCon 2014.